Thread veins (Telangiectasia) or spider veins as they are also known, look like very fine red or purple wiggly lines on the skin, and they usually occur on the face or legs. These veins are actually tiny blood vessels which run very close to the surface of the skin which is why we are able to see and notice them. 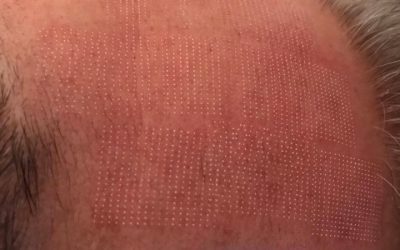 For some, thread veins can be the first thing they notice about themselves when looking in a mirror, but with ThermaVein those unsightly marks can now be treated safely with permanent results. We aim to answer all your questions before your treatment. If you have any further questions, please do not hesitate to contact us or book a consultation to discuss your personalised treatment. 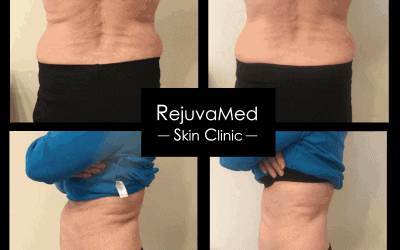 What does ThermaVein treatment involve? ThermaVein uses heat technology. A very small probe which is as thin as a human hair is rested above the vein. A 0.2 second pulse is then delivered down the probe which seals and destroys the vein. 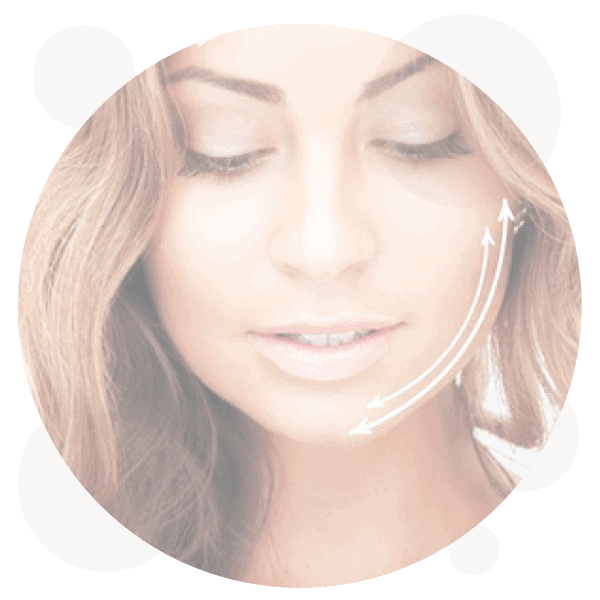 This process is then repeated along the entire length of the vein, with instant results. How many treatment sessions are required? The majority of clients can be treated in just one session, however this is entirely dependent on the extent of the veins you have. It would be unusual however for a client to require more than 3 treatment sessions. This revolutionary treatment has no known side effects. 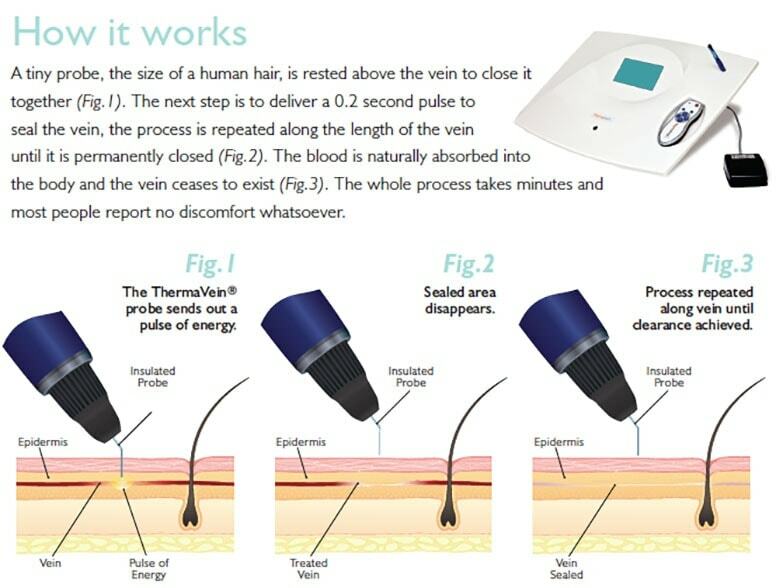 ThermaVein is a walk in walk out treatment with no down time, no risk of scarring and no risk of burns whatsoever, unlike alternatives which are higher risk, with a strong likelihood of recurrence of the veins. 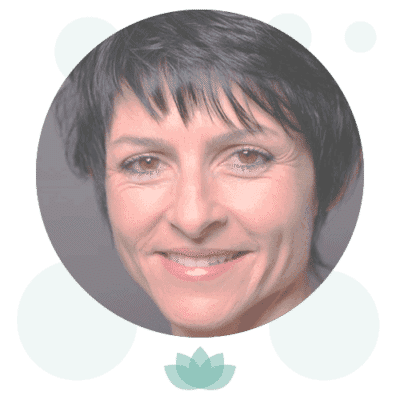 The treatment itself has often been likened to having a hair plucked, or a slight pinching sensation, however some clients report that they did not feel any pain during the treatment. Compared to other treatments for problem veins such as laser, IPL, epilation and diathermy, which can also be damaging as well as painful, the ThermaVein treatment has significant advantages. 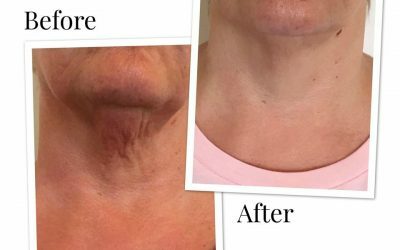 The results are permanent for the veins treated. We generally advise a review appointment with your practitioner 4 weeks after your initial treatment just to make sure that we’ve covered the whole area and all evidence of the veins has been removed. However due to the nature of these veins and the wide range of underlying causes, new veins may develop in the future. If this happens a repeat treatment will be necessary. Amazing results with 3D Lipo! 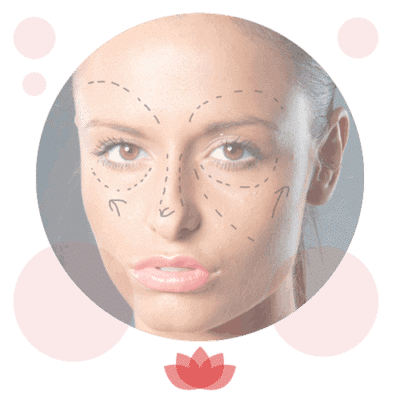 CO2 Laser Skin Resurfacing – Clitheroe clinic! 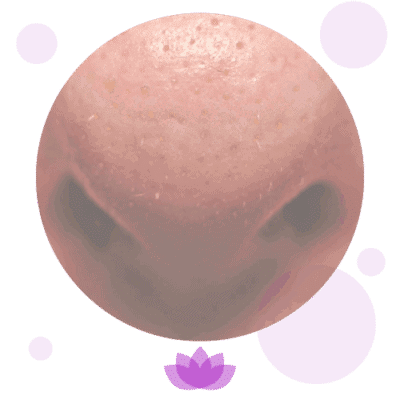 Profhilo – it’s the “necks” best thing! From our two locations in Chorley and Clitheroe, we offer the highest standard of medical cosmetics and skin care treatments. 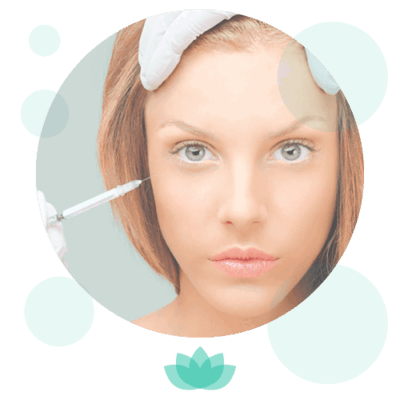 Our team, consisting of a consultant doctor and three highly knowledgeable aestheticians, is fully qualified, with a wealth of experience within aesthetics and skincare. These include body sculpting treatments, non-surgical facelifts, anti-ageing treatments and products.